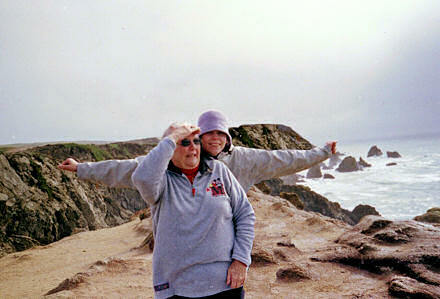 Charlotte Anderson and Jane on a clifftop, somewhere in California, 2004. One of the most exciting events in our family life while I was a child was a visit from “Auntie Charlotte”. I could go into the family tree details of how we’re related but it’s both beautifully simple and complicated all in one. (Aren’t all families.) Suffice to say that Char and my Mum are not-too-distant cousins, and my American family are some of the most wonderful people that I know. I love them all dearly. When I finished high school in 1989 Char flew me out to California for an extended six-week holiday. I loved it. It was one of the most enjoyable and character-forming experiences of my life. Travelling across to the other side of the world on my own, aged 17, gave me so much confidence. So when I returned to California three years later in 1992 with the National Youth Choir of Great Britain I was an old hand at the San Francisco/Bay Area thing. I’ve had the pleasure of visiting Char a couple of times since, and she’s been back over here too. During the last visit we took a drive from Edinburgh to Cellardyke and ate fish and chips in our kitchen at Kadesh, our holiday cottage. Anyhow, it was Char’s (insert number here) birthday yesterday, and I know that you read my blog. So I thought it would be nice to wish you happy birthday (again). I hope you had a good day, and know that we love you and miss you. 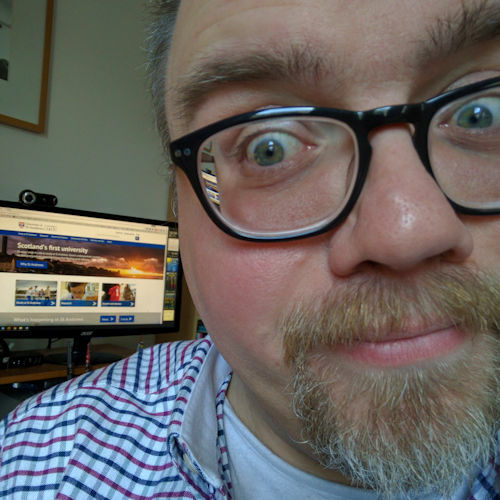 And regarding the connection: “the easiest family connection I find is to say that Rosalie’s (that’s my Mum) grandmother and Charlotte’s grandfather were sister and brother.” So there you go!